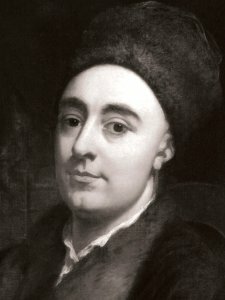 On June 26-28, 2008, the Redwood Library and Athenæum in Newport, Rhode Island (http://www.redwoodlibrary.org/) will be the site of a major conference devoted to the study of the Irish philosopher George Berkeley (1685-1753). 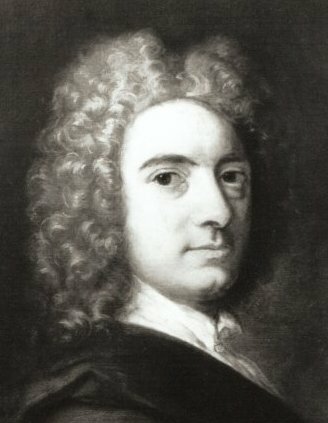 The event, which is sponsored by the International Berkeley Society, will include three days of presentations on Berkeley’s life and thought as well as visits to his home (Whitehall) and other sites associated with his 1729-31 stay in Rhode Island. Advanced conference registration (up to June 15) is $25 for IBS members and $35 for non-members. After June 15 on-site registration at the Redwood is $30 for IBS members and $40 for non-members. The buffet dinner at Whitehall is $20/person; children under 14 (with parents) free. Payment of registration and dinner costs can be made using PayPal online or surface mail. As part of the Redwood’s Thursday night series of presentations, Cynthia Grund’s talk on Berkeley and the virtual reality of Second Life is open free to the public. To register on-line for the conference and pay for dinner, and to join or renew your IBS membership using PayPal, fill in the boxes below and click on the PayPal button. If you are joining the IBS for the first time, please send your name, surface mailing address, and email address (if available) to Professor Stephen Daniel, IBS President. For information about the Society, go to the Society’s website. IBS members get the hour-long PBS-produced “Dean of Thin Air” DVD when donating $10.00 or more. Send payment to PayPal. You do not need to have a PayPal account: you can use a regular credit card (Visa, MasterCard, American Express, Discover). Just ignore the "Log in to PayPal" box on the right and click on the "continue" link under the heading of "Don't have a PayPal account?" Your total will be calculated automatically. Old Beach Inn (main conference B&B), one room left: $175/night. If you want to come a day early, you can stay here for $100 on Tuesday night. Before making your choice you’ll probably want to go to the websites to see how nice these places really are. The rates listed are averaged over four nights and assume that you are arrive Wednesday, June 25, and depart Sunday June 29. (The conference begins on Thursday morning, 26 June, and ends on Saturday night, 28 June 2008.) If you want to come early or stay longer, you can work out a reduced rate when you make your reservations. As a rule, B&Bs require you to pay when you make reservations, and if for some reason you don’t come, they reimburse you (less a processing fee). To get these rates, you must tell the B&B owners you are attending the Berkeley conference at the Redwood ("Redwood" being the important word here). The Berkeley Society has not reserved any of the rooms listed above, so the sooner you make your reservations, the more likely you will be guaranteed a room. In the summer Newport is a major tourist destination. It is also very popular for weddings and tours of the local mansions (http://tickets.newportmansions.org/). For information about what to do while in Newport, go to http://www.gonewport.com/. Travel: for information about how to get to Newport, go to http://www.gonewport.com/nav.aspx?id=17. Those flying from the U.S. or Canada should fly into Providence, RI and take the Cozy Cab Newport Shuttle (http://www.cozytrans.com/) or rent a car. Those flying from Europe should fly into Boston and take the Peter Pan bus (http://www.peterpanbus.com/tickets/fares.php). For more information, contact Steve Daniel, Department of Philosophy, Texas A&M University, College Station, TX 77843-4237; sdaniel@philosophy.tamu.edu; phone: 979-846-4649.